The problem with some toys is that it takes time to set them up and then they can’t be moved from room to room. 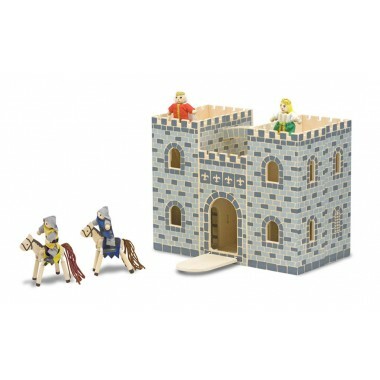 Problem solved with this fantastic Melissa and Doug fold and go castle! This clever castle may look straightforward at first glance, but it hides a fantastic secret. 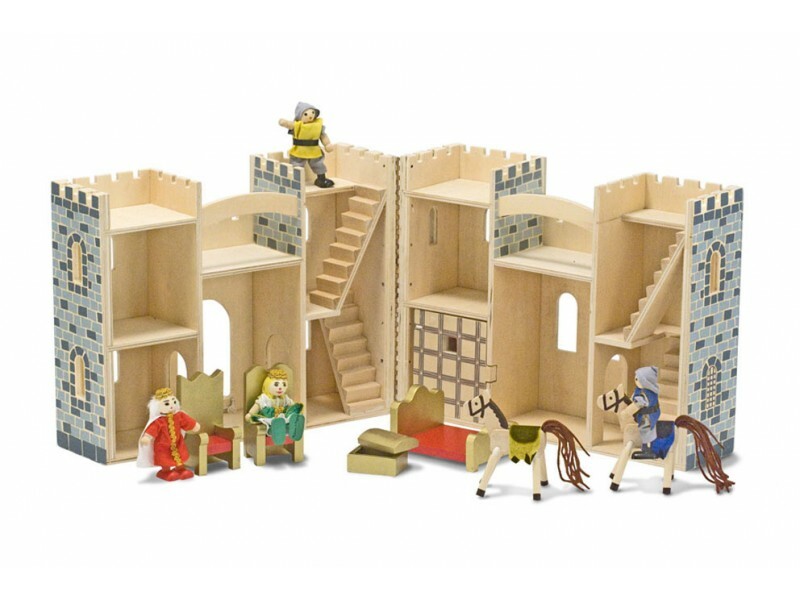 A side hinge allows children to open up the castle and reveal all sorts of rooms, passages and staircases. 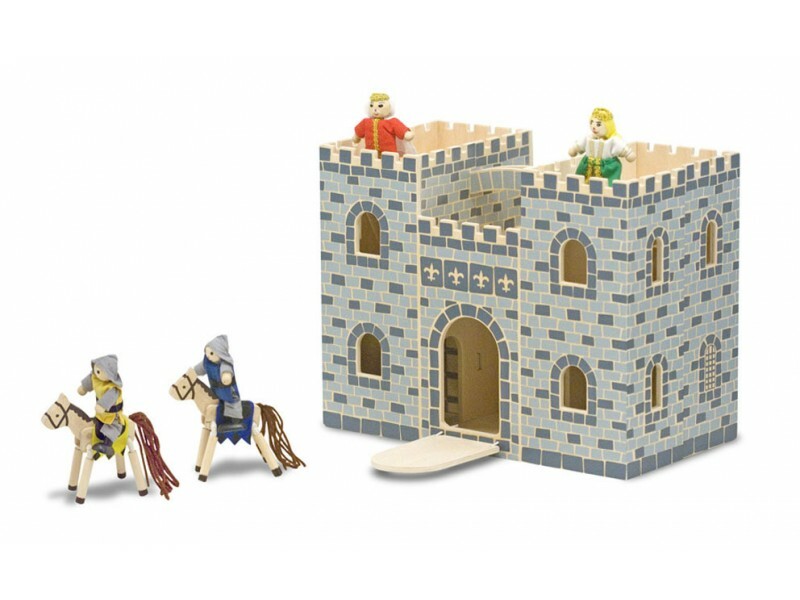 A King and Queen live in the castle along with two faithful servants and two trusty horses. The King and Queen also have thrones, a golden bed and a treasure chest! 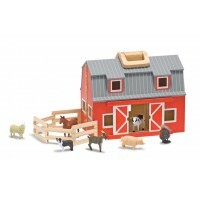 This superb wooden toy will inspire many hours of creative storytelling and play. It’s a wonderful gift for children who love historical tales and adventures. Dimensions: 27cm x 35cm x 18cm approx. Simple assembly required. The kids love them and it's means less plastic in the house. Good quality just what I wanted. 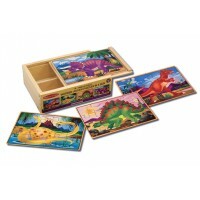 Beautiful wooden toy prefect gift. Would definitely recommend.